Available in 3mg (0.3% nicotine), 6mg (0.6% nicotine) and 0mg (nicotine-free) strengths. After years of research, vape scientists have succeeded in transmogrifying the essence of a blue raspberry snow cone to vapor form. 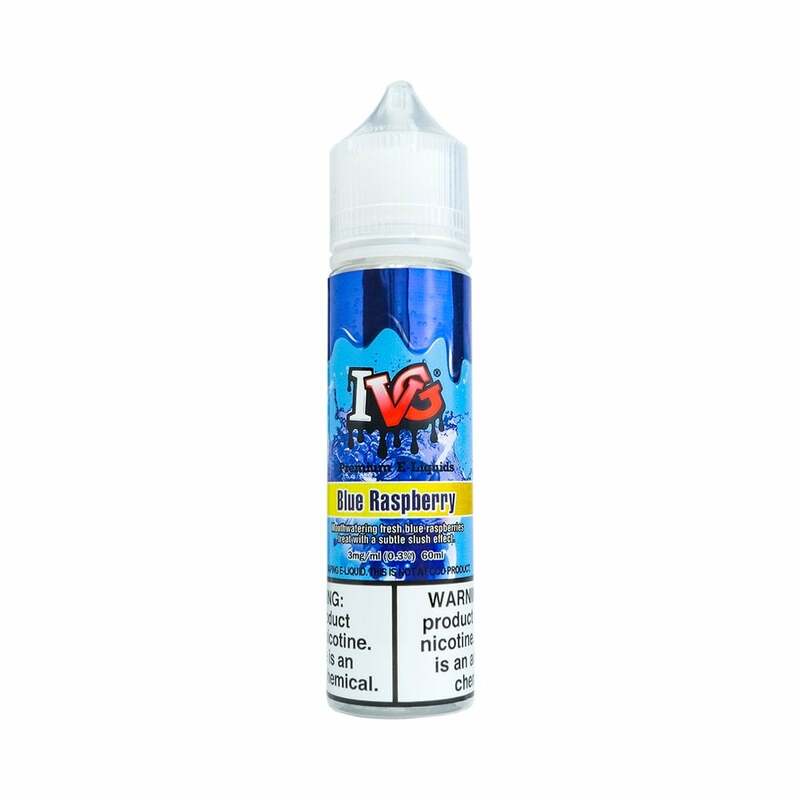 Blue Raspberry by I VG delivers intense blueberry and raspberry flavors with just a hint of mint for an icy mouthfeel. It's like having a slushee machine in your pocket. I VG vape juices are available in a range of nicotine strengths from 6mg (0.6% nicotine) to 0mg (nicotine free). They come in 60ml bottles. Their 70% VG / 30% PG formulation is perfectly balanced for sub-ohm vaping.